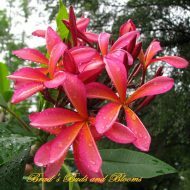 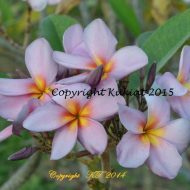 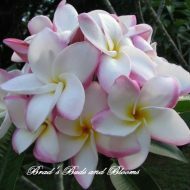 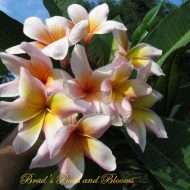 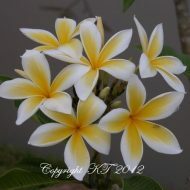 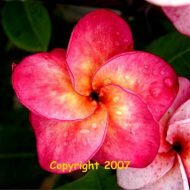 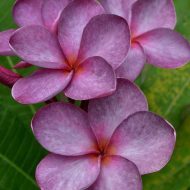 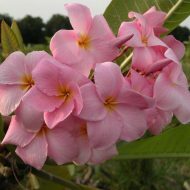 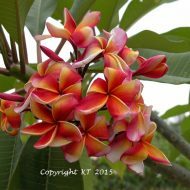 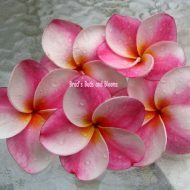 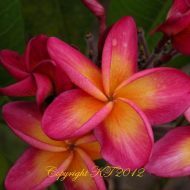 This is one more Aussie we registered with the Plumeria Society of America(PSA) in 2006. 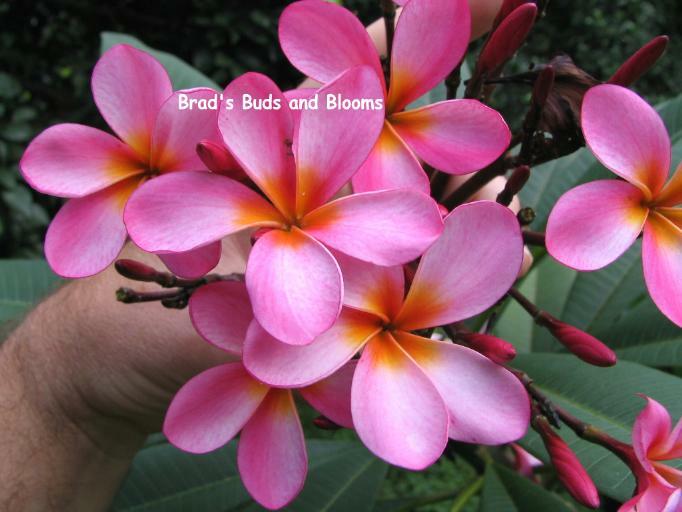 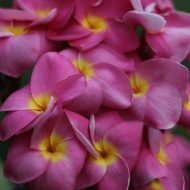 This lovely and compact grower produces tight bunches of blooms–averaging 3″ wide. 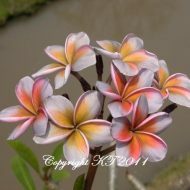 The coloration is quite unique in that it can from day to day experience changes, probably based on local temps. 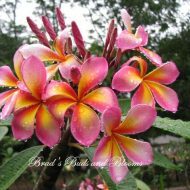 One day it will appear grainy pink with a gold center, to the next, new blooms appear solid, dark pink, with an orange center. 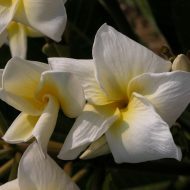 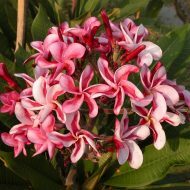 The petals have a nice shape and the scent is like baby powder with some coconut. 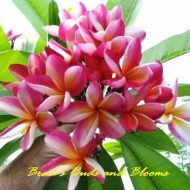 This plant is a wonderful bloomer and quite spectacular when in full flower. 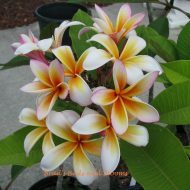 ROOTED PLANTS—-NOT GRAFTED—-measuring 11″-14″ from the soil line.